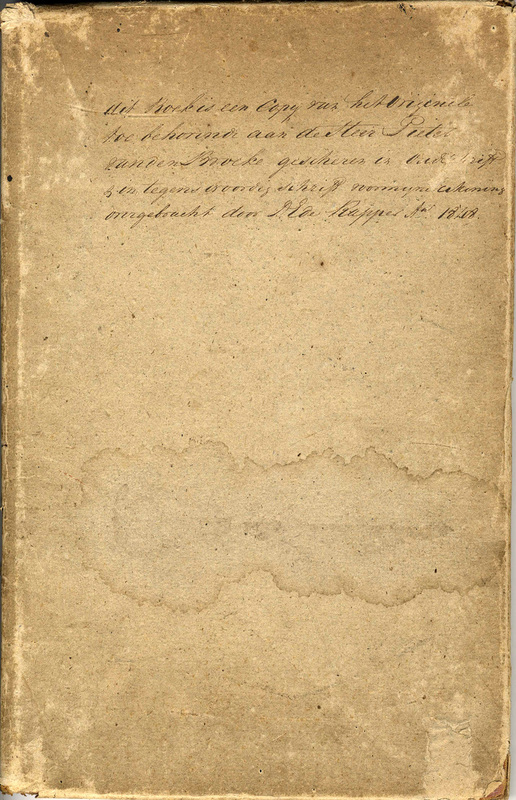 The 19th-century Portengen manuscript, recently donated to Leiden University Libraries, is a prime example of a text that shows how nationalism stimulated the self-consciousness of middle-class families. Sometimes the history of a manuscript is one of discovery and rediscovery. At the beginning of this year Mrs Van Zutphen-Verstege, the mother of a friend of mine asked me to look at a collection of 17th and 18th century books and one 19th century manuscript, which her father had inherited from Miss Portengen, a teacher who lived in the same house as the Verstege family. The manuscript was something special, and had been on display at an exhibition about Yemen in 1988. The Portengen manuscript is a copy of a book of resolutions made by Pieter van den Broecke and other officers of the Dutch East India Company (VOC) during his voyage to Yemen in the beginning of the 17th century. The copy was not made until the middle of the 19th century, in 1848. In 1962 the editor of the personal journal of Pieter van den Broecke, W.Ph. Coolhaas, noted that the copy of this ‘resolutieboeck’ was a very important source, because the original was lost. In fact the original must have served as the basis for Van den Broecke’s personal journal, which was printed and reprinted during the 17th century. Mrs Van Zutphen and I considered the manuscript a first class source for the formative years of the Dutch mercantile empire and for that reason should belong in a public collection. However, sometimes reality surpasses fiction. Incidentally, a specialist in Arabic languages informed us that years ago a colleague of his, Kees Brouwer, had written about the manuscript. In fact, Brouwer had contacted the father of Mrs Van Zutphen-Verstege and asked him if it was possible to study it. After Mr Verstege learned that the manuscript was of extreme importance, he had the very fruitful idea to broaden his hobby of genealogy to Miss Portengen and the history of this manuscript. 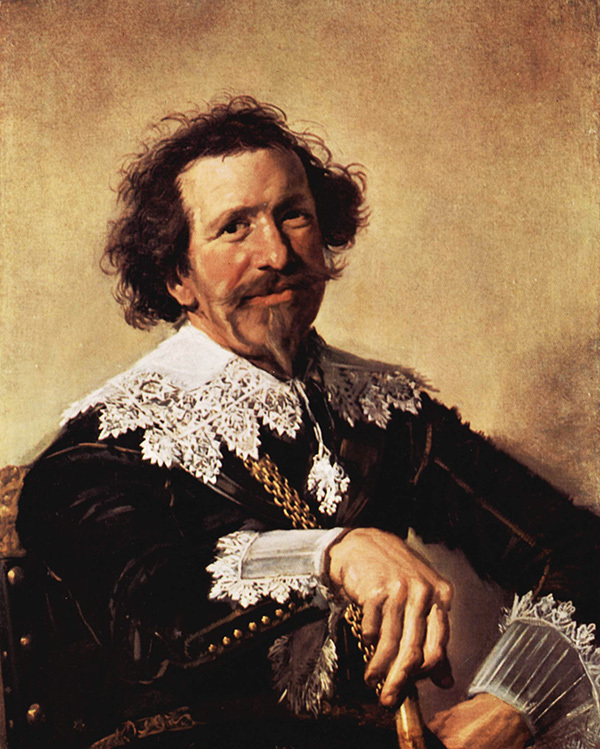 He discovered that she was a descendent of Pieter van den Broecke. And then a little miracle happened: he met another genealogist of the Van den Broecke family, professor Giesberger. The in-laws of this retired professor in Tropical Botany were in the possession of the original manuscript, as well as another two 19th century copies! In 1983 the original was donated to the Algemeen Rijksarchief, today called the Nationaal Archief, in The Hague. 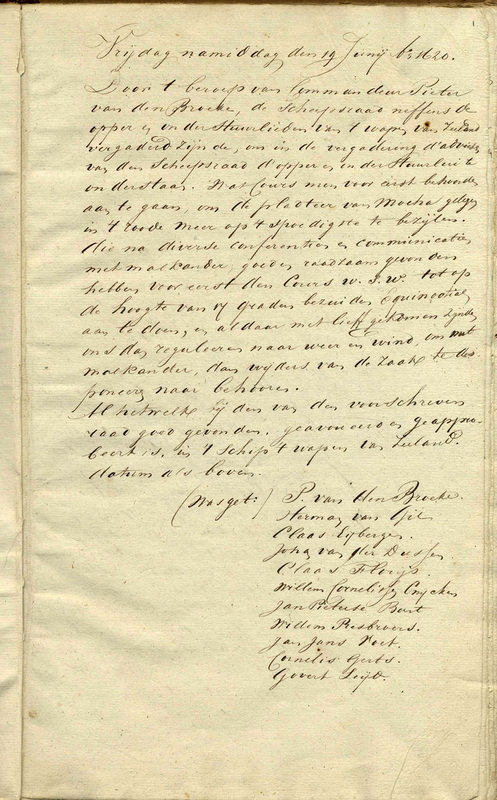 After the original manuscript was discovered, the copy seemed of practically no value, but Brouwer included both the original and the 19th century Portengen-Manuscript in the Yemen exhibition. The story of the discovery of the original manuscript was one of the highlights of the exhibition. Of course the manuscript copy has almost no value for seventeenth century maritime history. The importance of it lies in the fact that it is a copy! Why was there a copy made? We touch here upon the intersection of modern historical consciousness and the ‘construction’ of singular family histories. The original manuscript written by Pieter van den Broecke himself must have been kept during the 17th and 18th centuries as a kind of family heirloom. In the 19th century the manuscript could serve as a ticket to the Dutch patriciate, non-noble families who derive their status from the active and prominent role these families played during the Dutch Republic. The content of the manuscript was evidence of the important role their ancestors played in the Dutch Golden Age. For this reason several copies were made for different branches of the family. However, it was not until 1987 that the genealogy of the family was published in the yearbook of the Dutch patriciate (Nederland’s Patriciaat familiarly known as the little blue book) , with the coat of arms of Pieter van den Broecke. Historical research got the family recognised as Dutch elite.